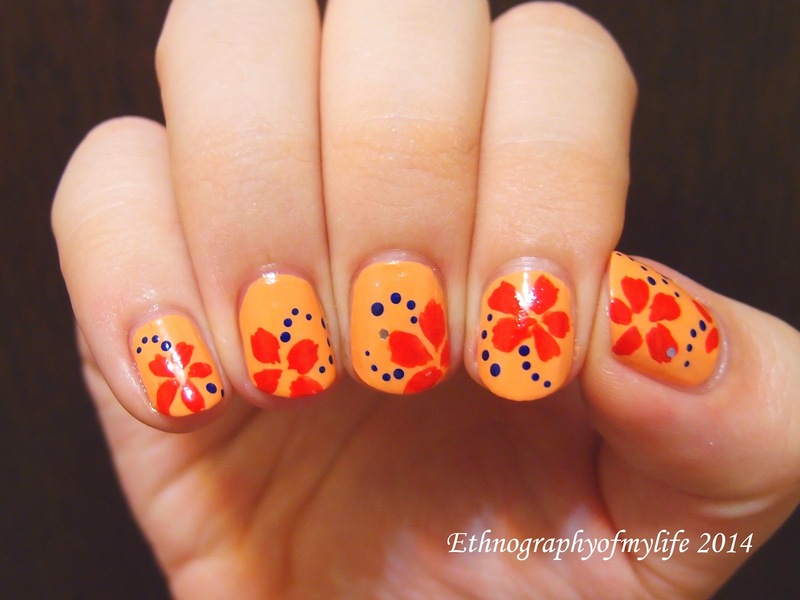 I am not a huge fan of orange and this is probably the most daring experiment I ever had! The base color is called Honeymoon from E-N@il again. I have this color in the collection for quite some time already, and was afraid to use it along. I usually dislike orange colors (probably the only color I have opinion against), but I so wanted something VERY DIFFERENT from my entire collection. 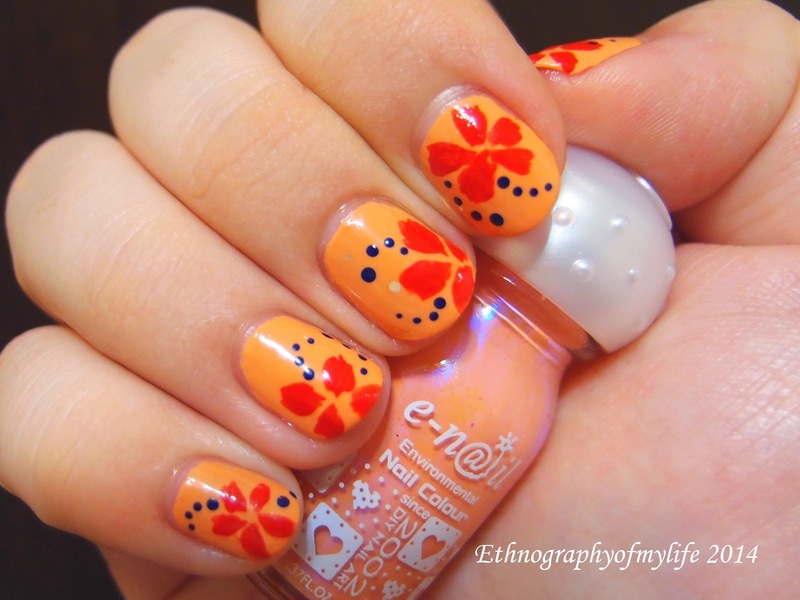 I did some simple hibiscus flowers and the mani has a tropical feeling! I like the dark blue and red combo, it makes the orange a slightly more mature. My BF said it just looks weird on me for no reason. I actually like this look, but I probably won't touch orange for a long time. It really isn't my color!